As soon as the opportunity to review Heavy Fire: Red Shadow popped up, I jumped at it because I find the series a little mystifying. The first entry was a Wiiware title, followed by 3DS, Xbox 360, PS3 and now current-gen entries. Built by the same team that made the jaw-droppingly bad Xbox 360 Rambo title, Heavy Fire must make some kind profit, because the games keep getting made despite the fact that they generally move the player down a preset path while roughly-modeled enemies roll into view to get shot. That’s it. And it’s been this way for… let me check my notes, here… six games. No surprise, Red Shadow follows in the previous iterations’ footsteps. This time around, the player is cast as Sgt. Will (no last name) and must hold off North Korean invaders by shooting a bunch of polygons that resemble soldiers, trucks and pontoons. The twist here is that instead of being on-rails, the player is now in a stationary turret with enemies coming in waves. The plot about a far-left politician and renewed nuclear interest is paper thin and is delivered like the crib notes from the Red Dawn remake. 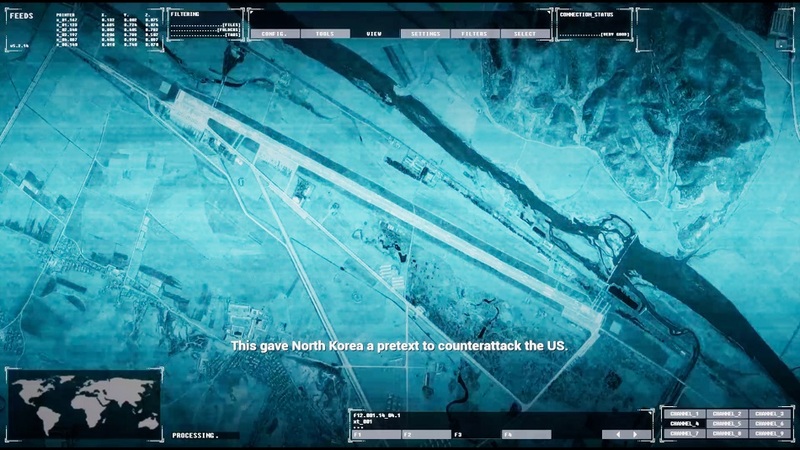 It isn’t just firing a mounted machine gun, there are also rockets to shoot as well, and support units like troops and airstrikes to be called in. There are also permanent upgrades that allow for players to do things like increase the damage of these support units, or make it so that the main gun never needs reloading. This action happens across four levels divided into day and night missions, with each mission offering three stages. …And that’s all that there is to it. It takes about four hours to finish the whole thing, and achievements are doled out generously. While playing, there was a part of me that enjoyed wiping the poorly-scripted units off the map in the same way that cleaning my room gives me a certain level of satisfaction at a job well done. However, skill points are handed out with such regularity that I soon had so many damage bonuses and so much regenerating health that completing a mission felt like a formality. Disclosures: This game is developed by Mastiff/Anshar Studios and published by Mastiff It is currently available on PS4, PS4 VR, and XBO. This copy of the game was obtained via publisher and reviewed on the XBO. Approximately 5 hours of play were devoted to the single-player mode, and the game was completed. There are no multiplayer modes. Parents: According to the ESRB, this game is rated Teen and contains Blood and Violence. 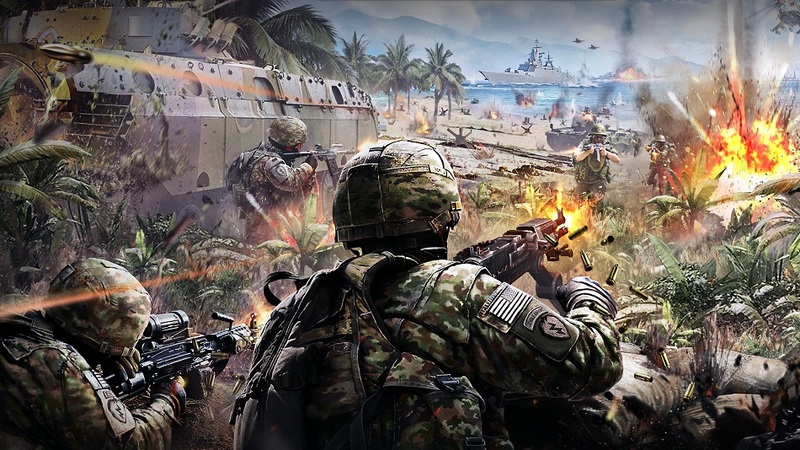 Taken from the ESRB description: This is a first-person shooter in which players are situated on a stationary turret and battle waves of soldiers. 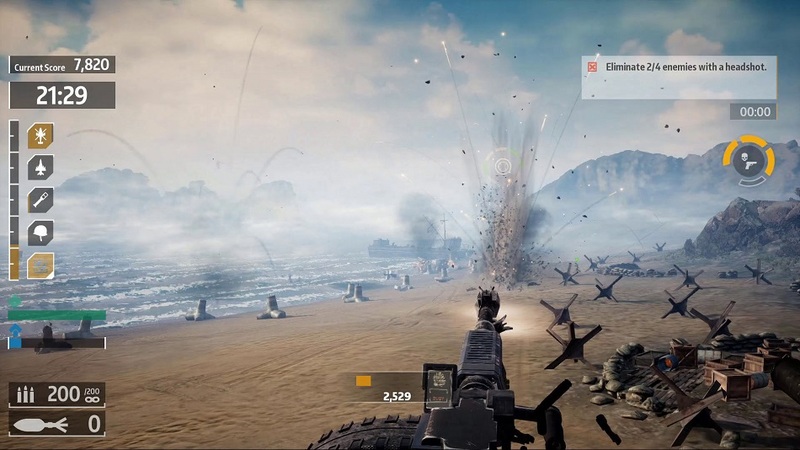 Players use a large machine gun and a rocket launcher to shoot at soldiers and assorted vehicles (e.g., trucks, jeeps) from a distant perspective. Soldiers scream in pain when killed, and successful hits are accompanied by blood-splatter effects. Some soldiers run towards the player’s turret and can be shot from close-up. Deaf & Hard of Hearing Gamers: It requires a little more attention to be paid for when support can be called in (it is indicated in the top left corner) but otherwise the title is fully playable without sound. The text size cannot be altered. 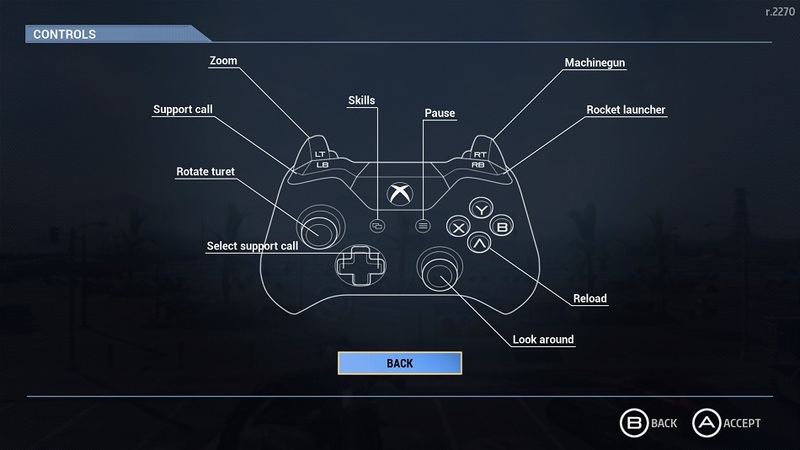 Remappable Controls: Certain functions are remappable – there are three different control modes, but I have no idea what the other two do because there are no instructions anywhere.